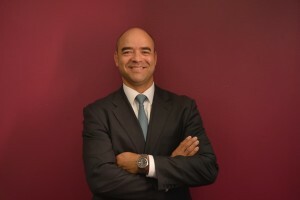 Anderson Leal has extensive immigration law experience. He is authorized to practice before all federal immigration courts of the United States. His immigration practice includes representation in employment and family based immigration and removal proceedings. Mr. Leal has successfully obtained immigrant and nonimmigrant visas for investors, outstanding professionals and athletes, as well as intercompany transferees for managers and executives. He has helped families reunite in the United States, and has successfully represented clients in removal proceedings including asylum and cancellation of removal for permanent residents and non-permanent residents. Mr. Leal’s experience also includes claims of citizenship and naturalization applications. Originally from Brazil, Mr. Leal graduated as an attorney in 2002 from Rio de Janeiro’s Catholic University (PUC-Rio) and emigrated to the United States as an athlete in 2002. He competed in judo at an international level and received an LLM in International Law from the University of Houston in 2007. In 2012, he was admitted as an attorney to the New York State Bar. Soon after obtaining his license, he became the legal director of a non-profit organization in Houston. Having since moved into private practice, he continues to represent clients in a pro bono capacity. Mr. Leal is fluent in English, Portuguese and Spanish.